Everything included to Assemble a 4' x 10' Aluminum Dock Frame. Sleek design is made with a strong tempered alloy. Lightweight and Durable; each section weighs less than 200lbs and carries a Full 15 year Warranty. Can be built as Stationary, Roll In or Floating. We bought two of these kits and all I can say is the craftsmanship of these kits are amazing. The specs are exact (not even a fraction off). This is the only kit that I will ever use for all of my next projects. We bought and put together a 3-section floating dock with resin top. The bottom line is that we have a really nice dock for about two thirds what it would have cost to have someone put one in. What is the height of the frame? The Aluminum Frame is 5" tall, the Resin Dock Top or Wood decking adds approximately 1". How do the dock sections connect? 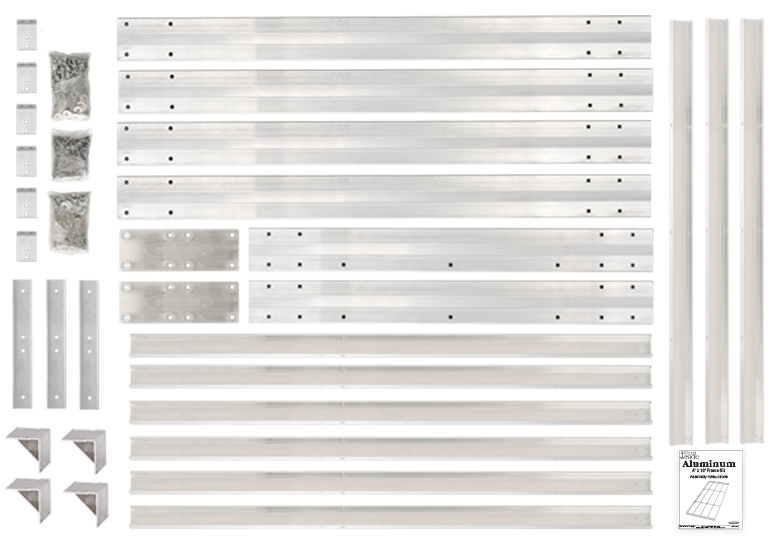 The Aluminum Dock sections connect with either Dock Connector Clips PS 1021 (Stationary & Roll In) or Hinge Kits PS 1070 (Floating). What type of top can you use? 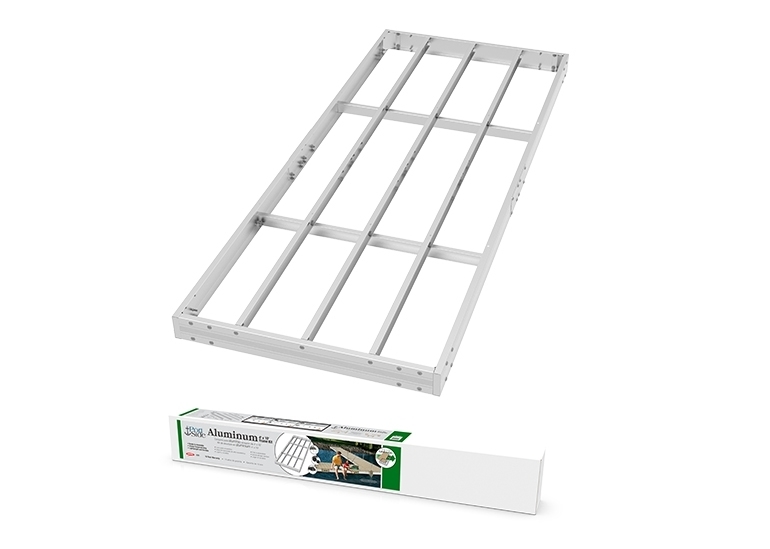 The Aluminum Dock frame kit is designed to utilize any wood decking that is recommended for outdoor use. How do you attach the top to the frame? Use a #10 x 1 1/2" multipurpose self drilling screw for wood or composite decking. if using PlayStar's Resin Dock Top PS 1320 the hardware is included. 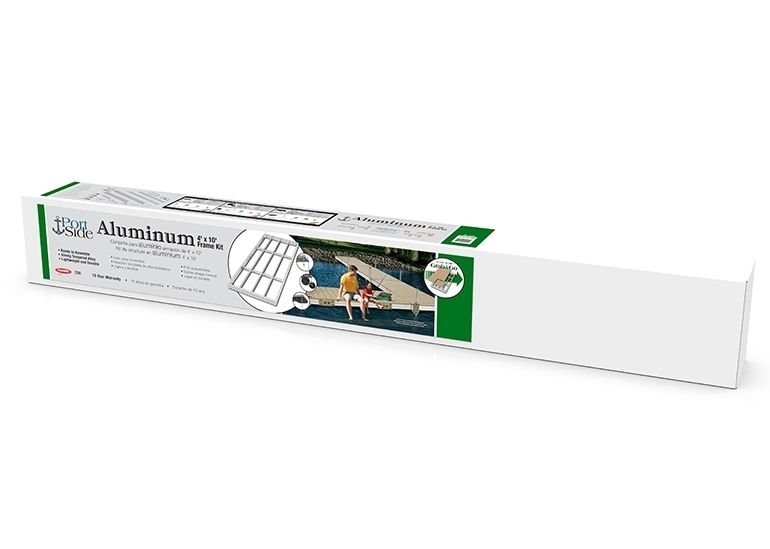 The Aluminum Dock frame kit is up to 1/8" thick. Because of the extrusion process a measurement as a "gauge" is not technically able to be utilized. The Aluminum Dock frame kit has a weight rating of 1,500 lbs. per section. 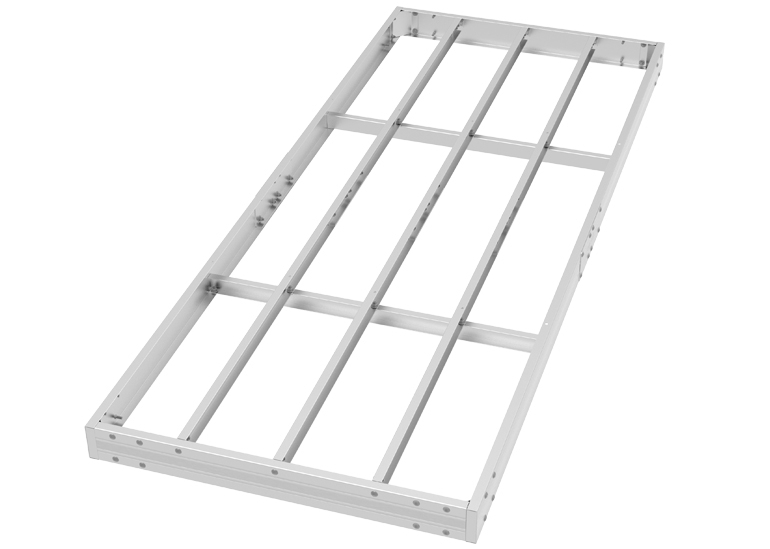 The floats attach with 3/8" x 1 1/4" hex bolts included in the Aluminum frame kit. What kind of aluminum is used? A special aluminum alloy that closely mimics what you will find in aircrafts. What is the actual weight when assembled? How do you attach the decking?